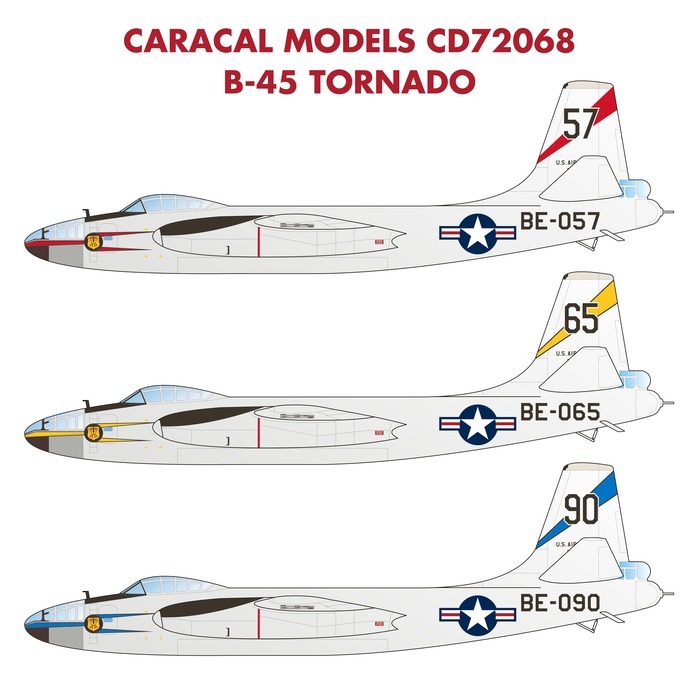 Caracal Models CD72068 - B-45 Tornado"
This new decal sheet provides accurate and complete markings for the recent Valom kit of the B-45 Tornado, the first jet bomber of USAF. Our decals correct the many accuracy issues in the kit sheet and provide options for three squadrons attached to the 47th BW based at the UK during the 1950s. This sheet was professionally screen printed by Microscale in the US. We will start shipping this decal sheet on August 20, 2017. You can preorder this decal sheet securely with your credit card or PayPal account now.